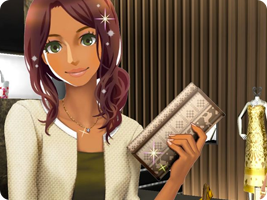 A fashion simulation game where you set up your own high-class boutique. Create outfits for your customers and try to meet their requirements, and they will recommend you to more people if you do a good job. Can you come up with the next big trend? Or will you struggle to keep up with demand? 17 Apr 2014 Nintendo 3DS Wagamama Fashion Girls Mode: Yokubari Sengen! Tokimeki UP!